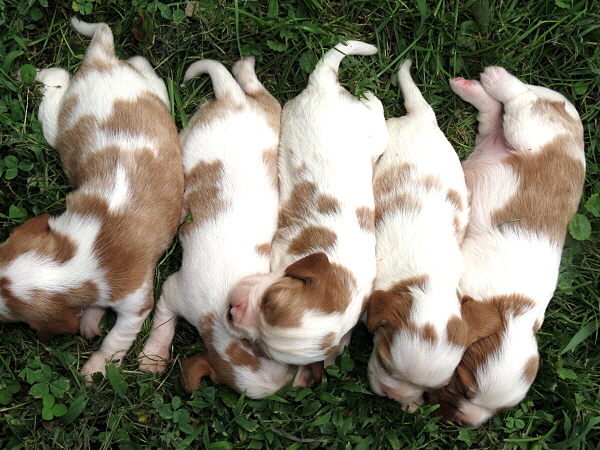 Lizzy’s puppies are 2 weeks old today! 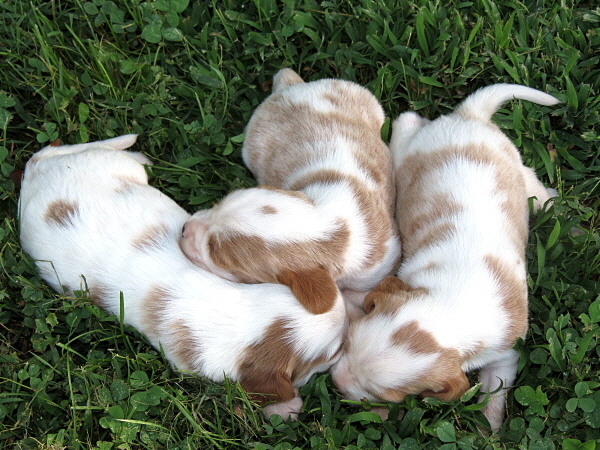 Their eyes are now almost all the way open and they are so sweet! 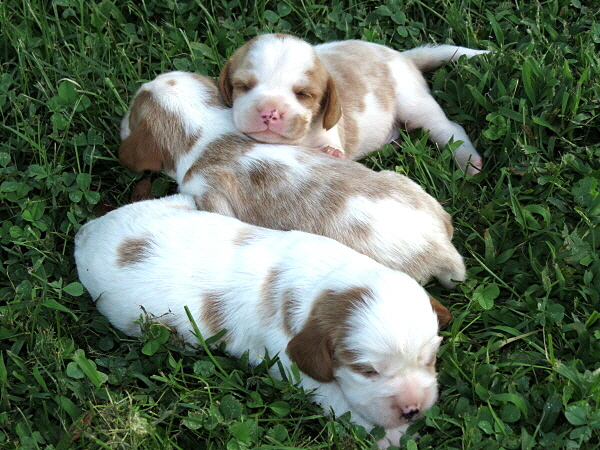 I have 3 boys and 3 girls available. 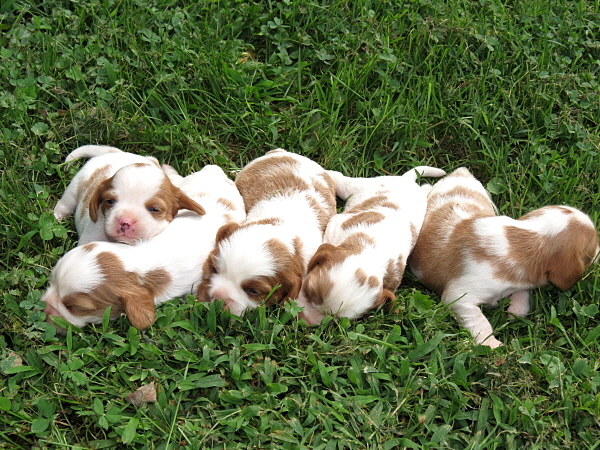 If you are interested in one of these little ones, just let me know! 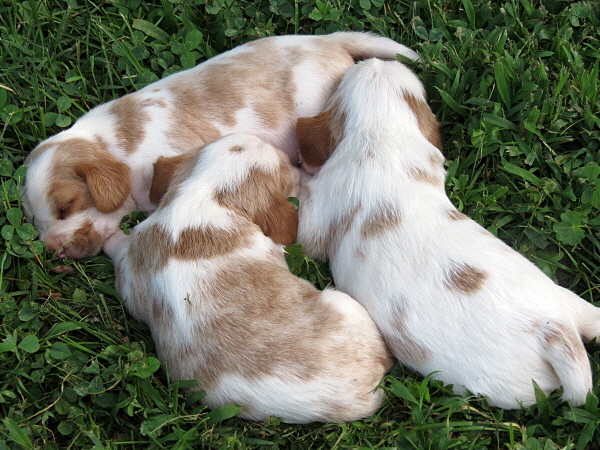 Some people ask how we tell the puppies apart. 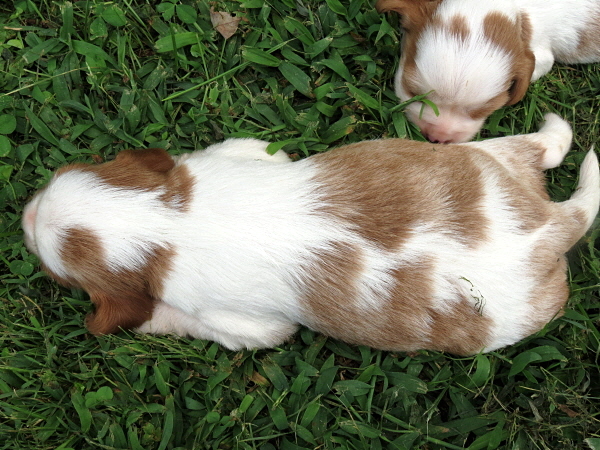 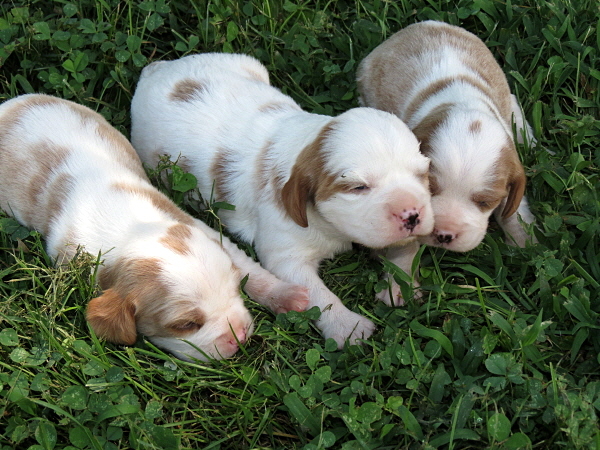 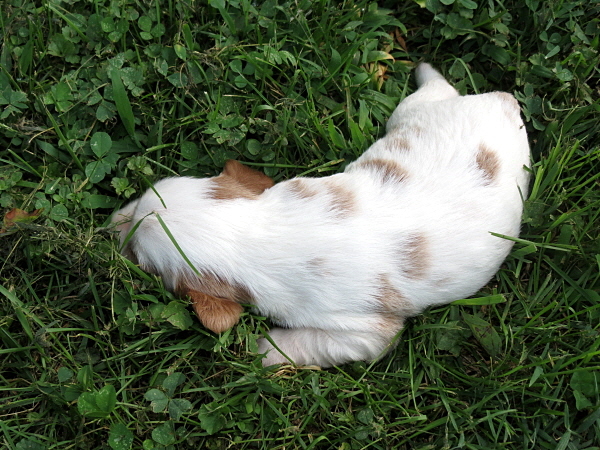 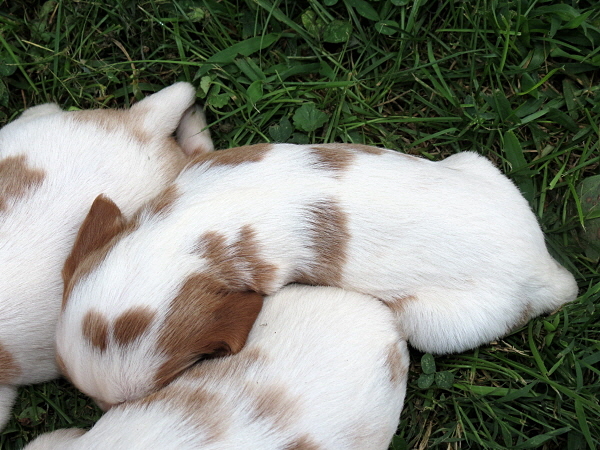 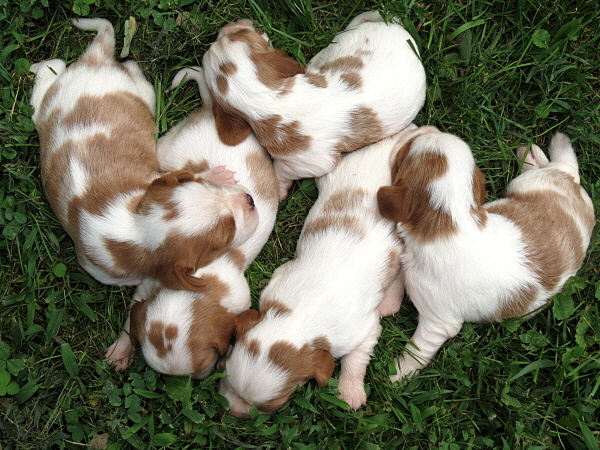 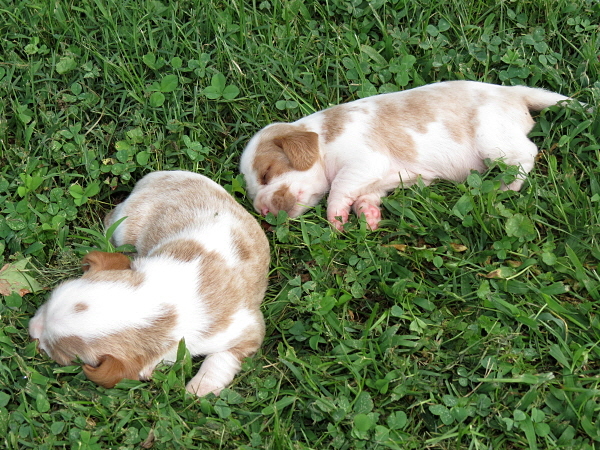 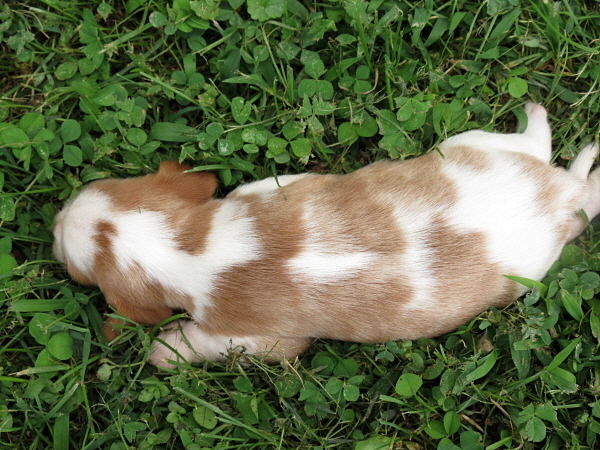 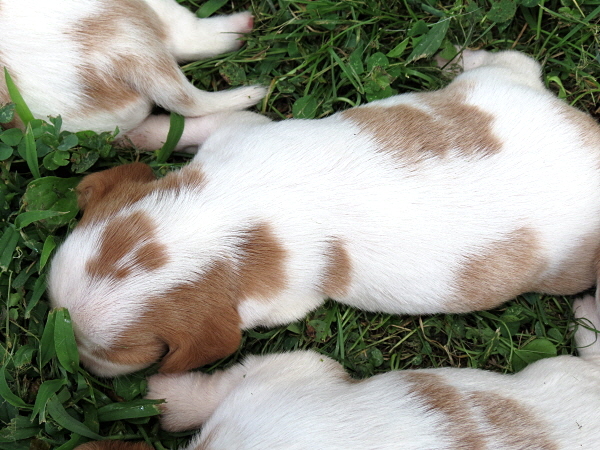 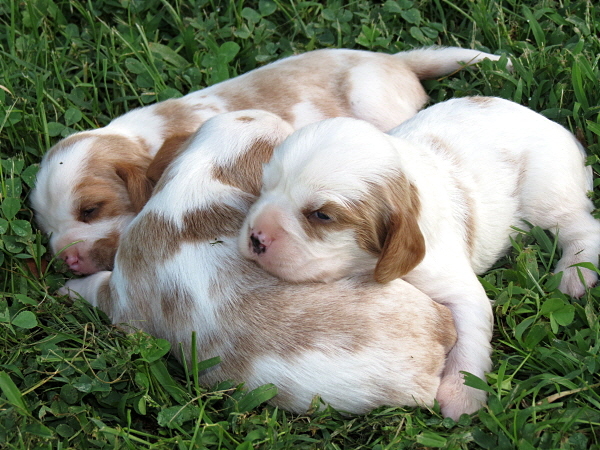 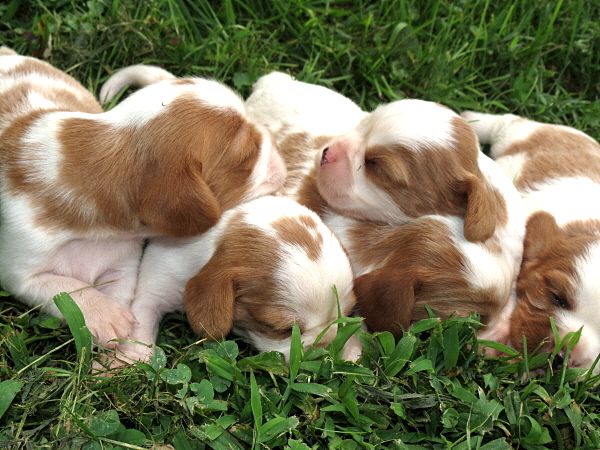 With Beagliers, it is normally pretty easy because they usually all have different and unique markings. 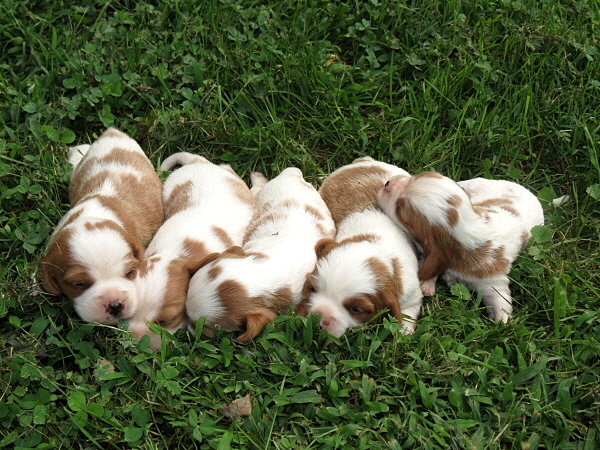 Notice how each of the boys has different markings on his head. 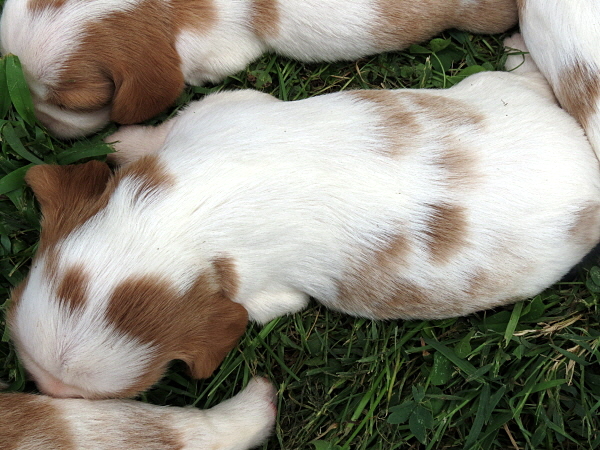 If you notice, all of the girls have different markings on their heads as well.